Hello and welcome back to another update of the Forgotten Hope Mod. As you might now it is time for the release of the official Fanmappack Version 4. A few words of explanation first. We think it is better to have support for the maps to extend their life cycle. So this release does not contain all new maps. Instead it will provide you with the latest version of maps that were already included in the last release. We are sorry to say that no maps were sent in until the announced deadline that were worth a release within the Fan Mappack but we do hope that the changes made (bugfixes and balancing issues based on your reports) will satisfy you anyway. 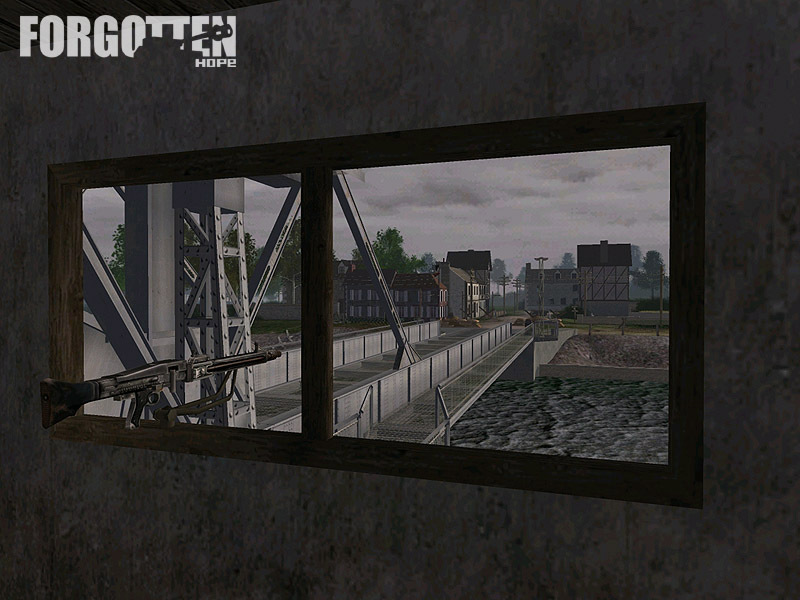 Please note that the maps made by Otolikos we showed you in the last news update are not part of this release. 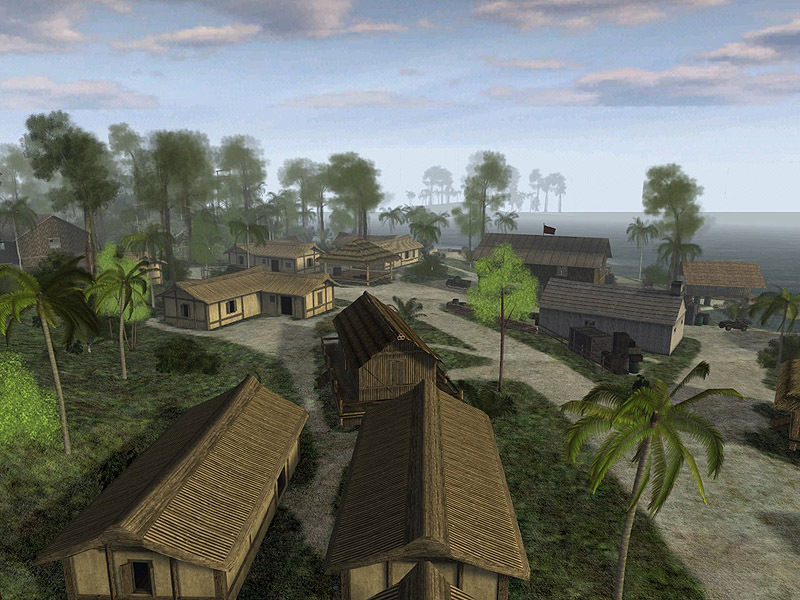 Otolikos�s map pack is his own project and none of his maps are included for now. Expect a release of his work within the next weeks. And you should definately give it a try as the maps' look and play are very promising. We apologize for the troubles you might have had last time as we forgot to spread the server version. This time we have all necessary versions for you to choose. An installer for windows is ready as a zipped archive for the serverfiles is as well. Make your pick and enjoy the latest version of the Fan Mappack. 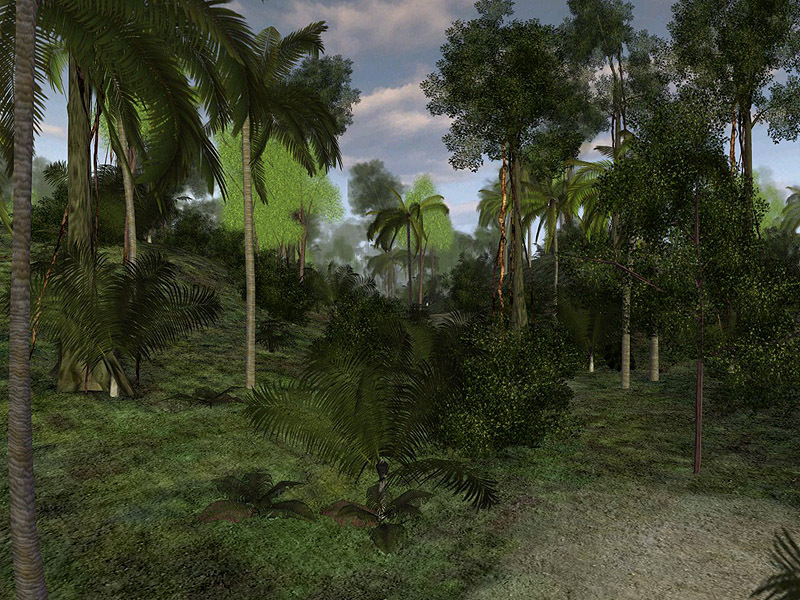 As this release is a full release the Fan Mappack Version 3 is no longer necessary. Clients may remove the installer from their HDD and hosters are recommend not to host the old pack any longer by replacing it with version 4. Hello and welcome back for another update of your favourite mod. 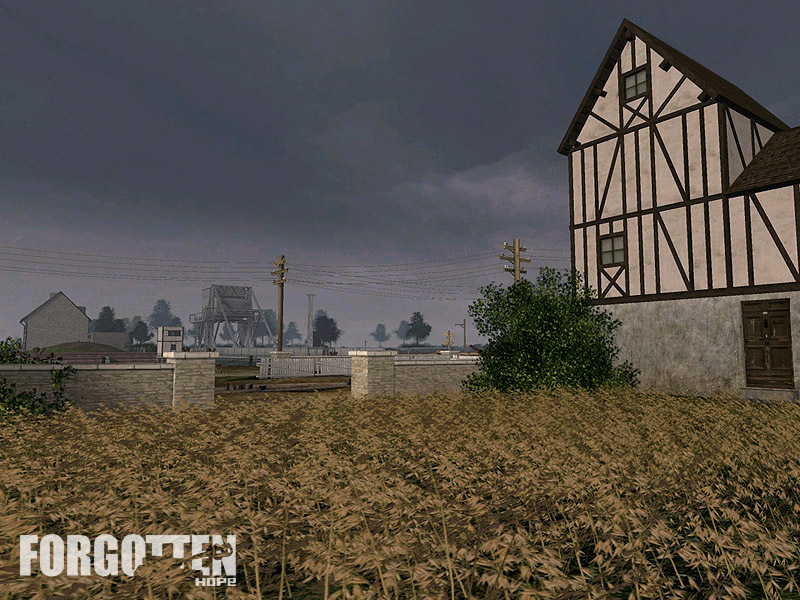 First of all we would like to give you some more information on the upcoming map pack by Otolikos, which looks very promising. 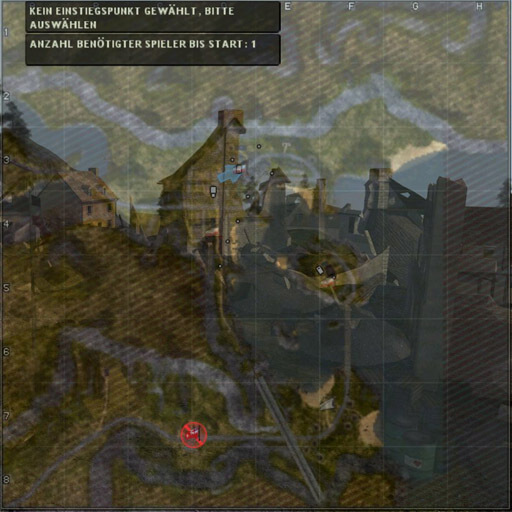 Four maps are included and we want to show you some images of the pending battles to fire you up in advance! 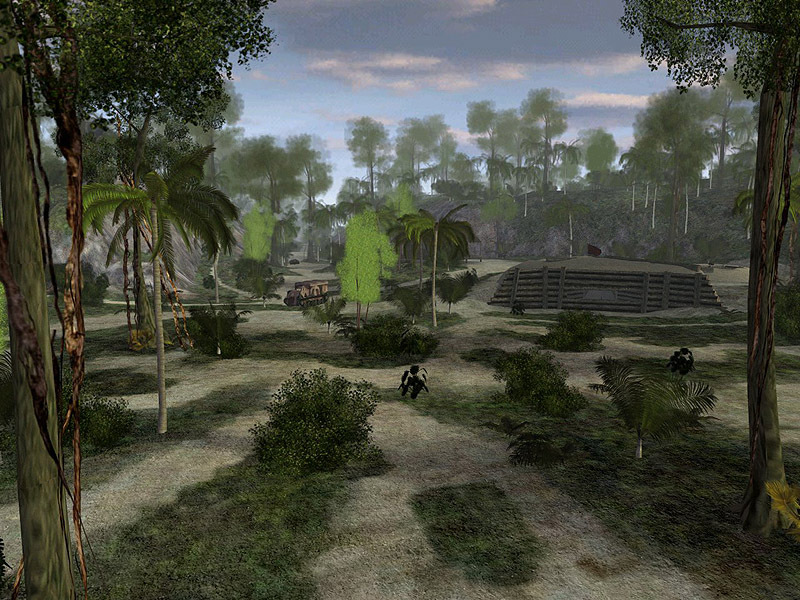 Otolikos�s map pack will feature 4 maps at least including one battle that takes place at night. 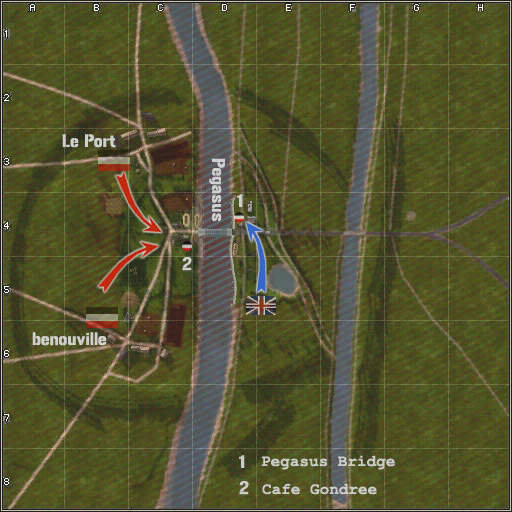 There will be two versions of Benouville (day and night battle at Pegasus Bridge) plus Ramelle Neuville (which some of you might remember as a prereleased beta from a while ago) and finally a map called In the Hell of Bocage. 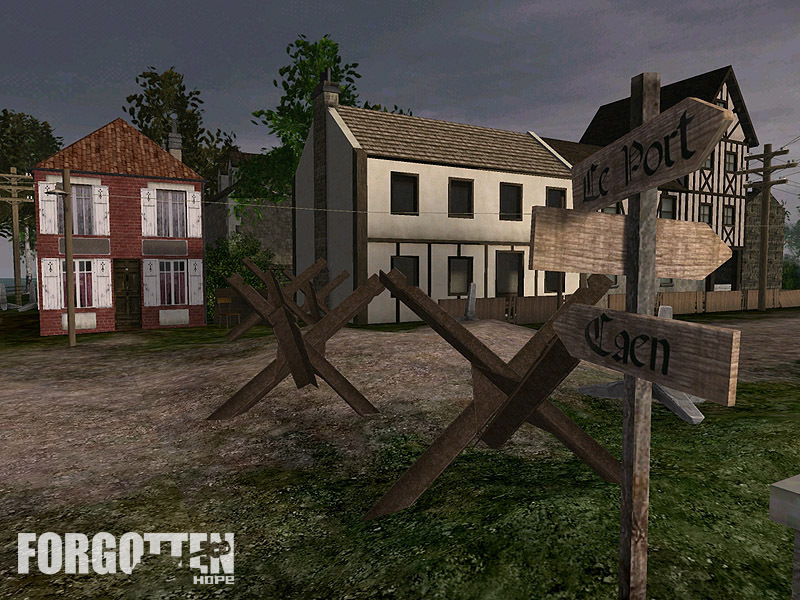 The Forgotten Hope Developer team is curious and excited about these maps and hopes you are as well. There is no release date announced yet, but it seems that Otolikos is almost done. Check our page later for more info about this topic or give his homepage itself a visit here. 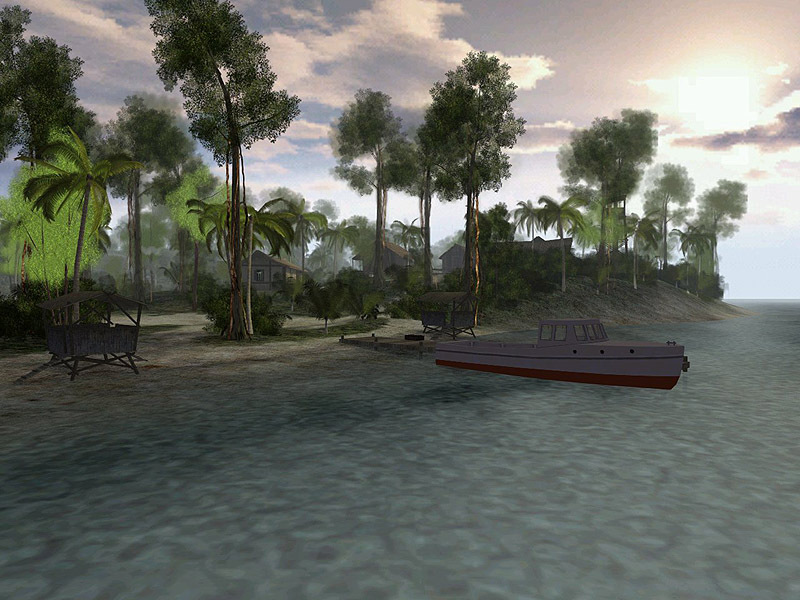 You can see many more screenshots there, but here is a preview already. Also, we have some mod progress to show. Messiha last gave us the Japanese Shiretoko Class. Now it is time for a comparable German support ship. The Dithmarschen Class will serve the Germany Navy in reinforcing and repairing their fleet. That's all for today folks. We hope you enjoyed the update. Stay tuned for more news next weekend and feel free to discuss this one on our public forums. Our overall conclusion is to give more mappers the opportunity to release their maps with our support and extend the life cycle of custom maps out there. That means there will be updates for the recent official Fan Mappack in the future and additional maps coming along with these updates if their quality is worth it. When maps became obsolete they will be eliminated to keep the size of the download reasonable. Furthermore we will try to offer help with beta testing if possible, though our own testing must remain our primary goal. If your map is part of recently released Fan Mappack #3, you will have the chance to send in any updates until the 27th of April. Same goes for new maps not yet delivered. As we need some time to finish the installer/zip for Windows and Linux and preparation of the mirrors the release is scheduled for 30th April at 1200 GMT. If the map sent in is really awesome and exclusive, it may be possible that we will include it into the next release of Forgotten Hope. Just attach a note you if would like this, as we would need your permission. Please be aware that only High-Quality maps will get this chance and if your map matches the criteria you will need to accept the following rules though if you want your map become part of Forgotten Hope. Everyone who wants to sponsor content has to read & sign the "GENERAL AGREEMENT FOR CONTENT SPONSORING FROM PEOPLE OUTSIDE THE FH MOD TEAM" before the FH mod takes & uses his/her content. If you spend content (like new textures ... a map ... vehicle etc.) to the Forgotten Hope moification (FH mod / FH) then you fully agree that all rights of the stuff you create for the mod belong to the Forgotten Hope mod team. Once given to FH - FH owns the content. Welcome back for this week's update. It has been a while since we last showed off some new stuff, actually before our last release. But now we have new stuff to show and we want to start our weekly updates with a bang. 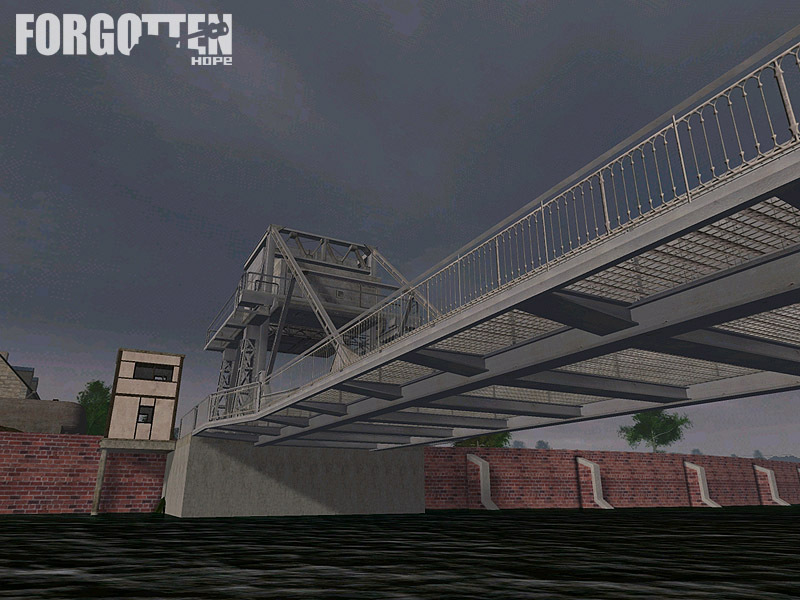 First object to showcase for the 0.7 release is a new map created by our Developer Emeritus Master Minder and polished by Lobo, as his first finished mapping effort. Expect more maps in the future from our Spanish aircraft factory. Pegasus was the Normandy Invasion codename given to a bridge over the River Orne, near the town of Ouistreham. It was a major objective of the British 6th Airborne Division, which landed close to the bridge by glider on the night of 5th/6th June 1944. 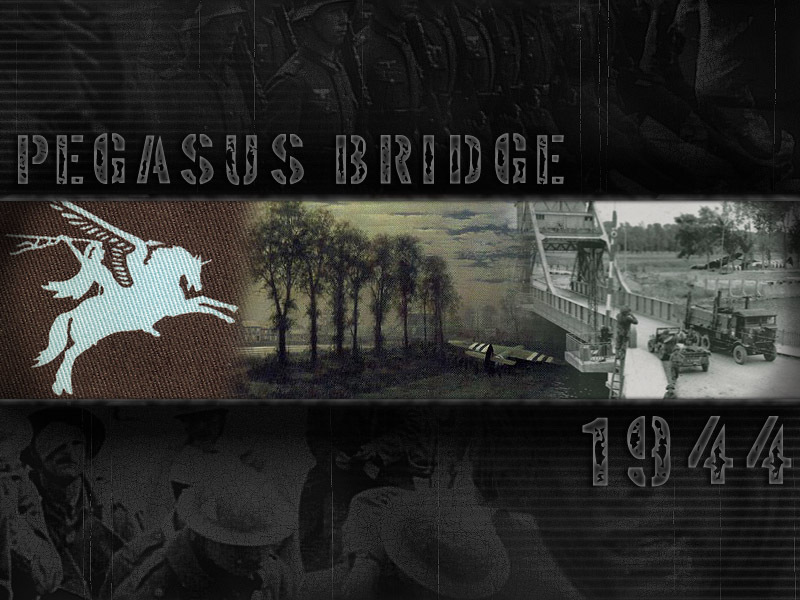 It was given the permanent name of Pegasus Bridge in honour of the operation. The main objective of capturing Pegasus Bridge was to secure the eastern flank of the invasion, preventing a counter attack from rolling up the entire invasion force. The initial assault was carried out by 181 soldiers -- most of which came from D Company, 2nd Ox & Bucks -- in 6 Horsa gliders, led by Major Howard. They landed within fifty metres of Pegasus at 16 minutes past midnight on June 6th. The bridge was captured from the few troops guarding it in ten minutes, and it became the first objective seized on D-Day. One of the people killed during the operation was Lt. Dan Brotheridge, who was the first Allied soldier to be killed on D-Day. Further elements of the 6th Airborne landed by glider and parachute throughout the day to reinforce the defenders, and the bridge was successfully held until relieved by British ground units. The first relief was from 6 Commando, led by Lord Lovat, who arrived to the sound of the Scottish bagpipes, played by Bill Millin. Later in the day units of the British 3rd Division arrived, and the bridges were secured. That's all for this weekend folks, stay tuned for our next update in the coming week and be sure to discuss this news in our public forums. Hello and welcome back for another update. We hope this is one you have been anticipating, as today the official Fan Map Pack #3 has finally arrived. Just to freshen your memory here is the list of the maps, once again. Click the maps for more details. But there is additional good news for you today. Not only will you be able to fight on the anticipated stunning new battlegrounds later tonight, you also get two bonus maps in the Fan Mappack #3. 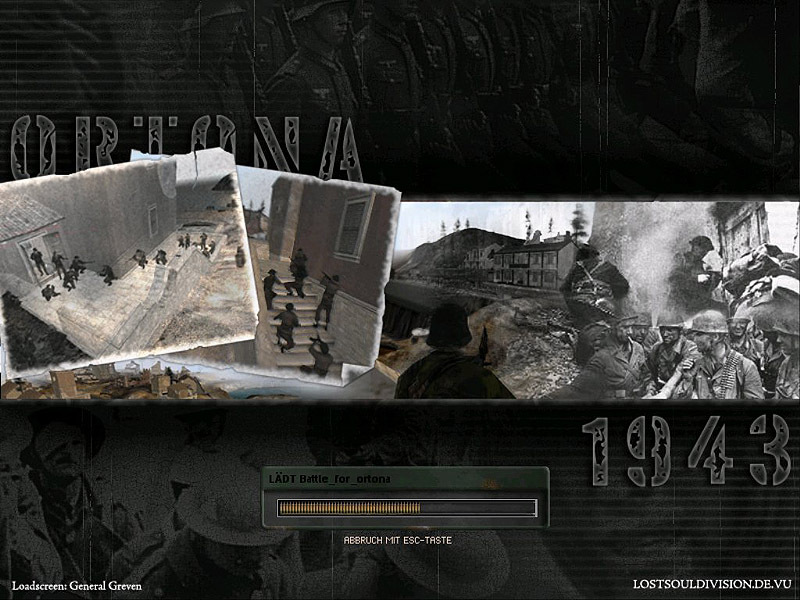 Battle for Ortona will be included as an extra goodie. Canadian troops met Germans at the Moro River, just outside Ortona, and fought their way into the town during eight bloody days in December of 1943. The Loyal Eddies battled elite paratroopers, as well as other tough German units. The terrific battle continued through the streets of Ortona and now you will be able to take part. The other extra you get is Tulagi Island. Though the landings on Guadalcanal took the bulk of the ships and Marines of the Operation "Watchtower" invasion force, the assault on the small Japanese-held islands to the north produced by far the heaviest fighting. 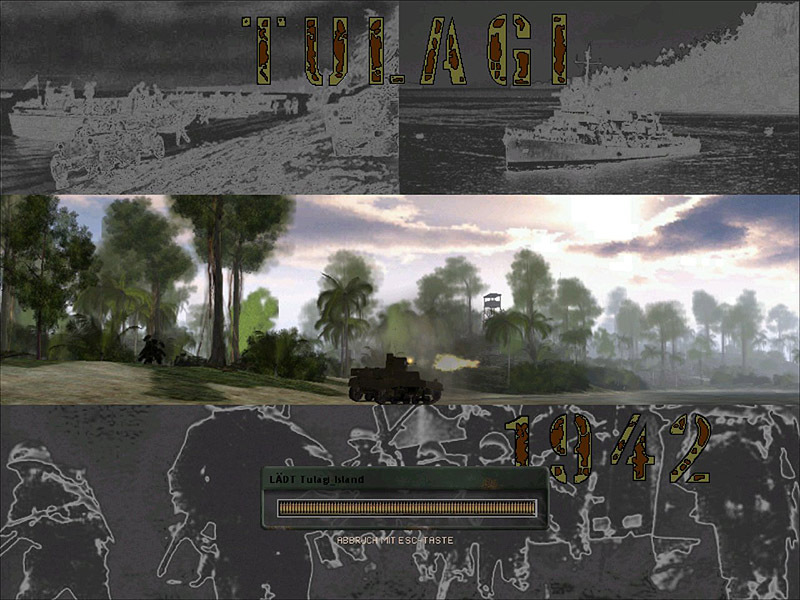 Tulagi, site of the British Solomon Islands' pre-war government center, and the nearby Tanambogo-Gavutu seaplane base were garrisoned by tough Japanese Special Naval Landing Force troops. 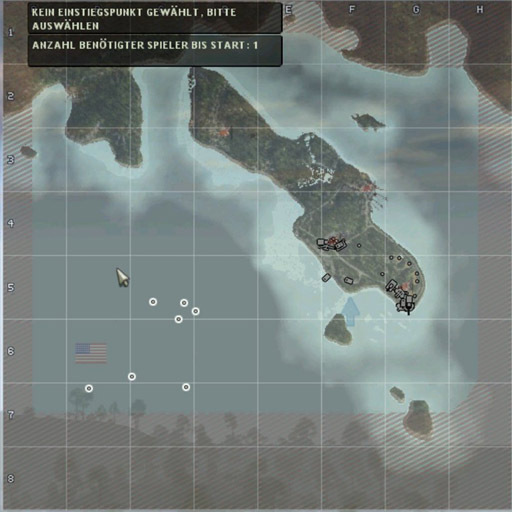 There was to be no easy win for the American GI's. 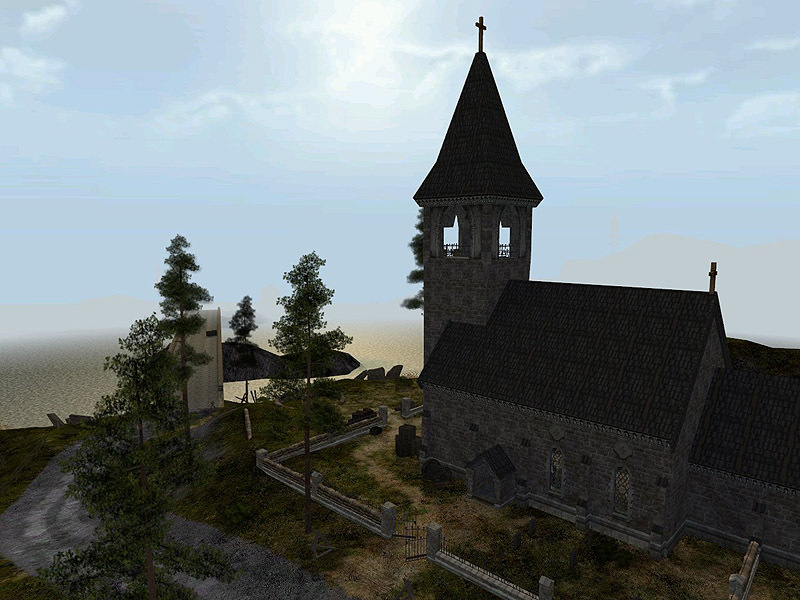 Finally here are the links for the Forgotten Hope Fan Map Pack #3 or you. Grab it now and join the battles tonight! 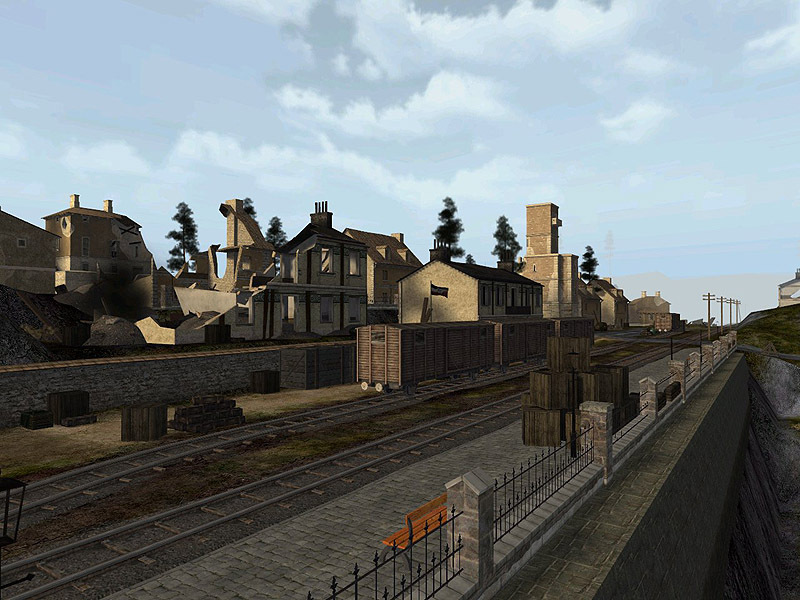 Today at 1800 GMT you will be able to meet many of the developers of some of the most popular Battlefield 1942 mods. P.e. Operation Peacekeeper, Promod, Norwegian Restistance etc. and of course FH. Although the server is located in Germany, all are welcome to join. The only thing needed is a microphone and TS2 installed. If you know it is a joke no one - and we mean no one(!) - wants to know that you are so smart and found it. 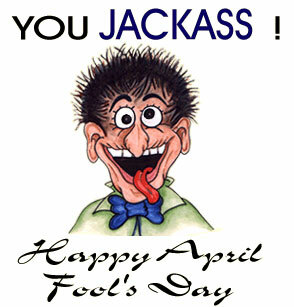 That way the april fool is no more for all your follow readers. But hey - at least everyone knows you are Sherlock Holmes... think about it. We hope you enjoyed the joke. We would like to apologize to EA and Microsoft with their XBOX that they were chosen to serve our april fool and hope everyone had a good laugh in the end. As the title says FH will be in the box - not the box used for the burial by our good, old mortician fellows, but the real powerful XBOX. According to ArminAce negotiations about that had started approximately half a year ago. As conversations were successful Electronic Arts and ArminAce agreed on the remastering of Forgotten Hope as title for the X-BOX. 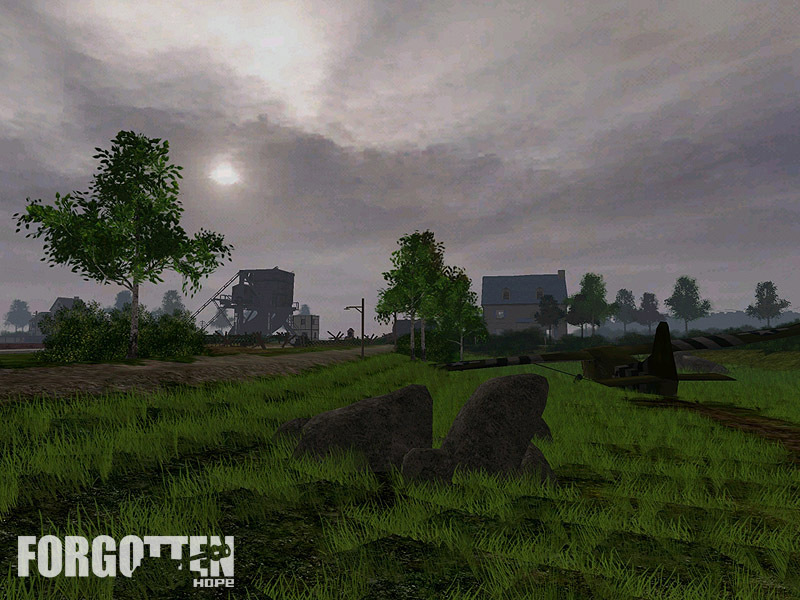 The Forgotten Hope Developer Team will gain an adequate compensation in return. Although money is always welcome the latest actions were total infamy by ArminAce as no one of the other Devs has been informed about the negotiations before today. State of the art graphics and sound technology collide to produce the most breathtaking gaming experience on any console. 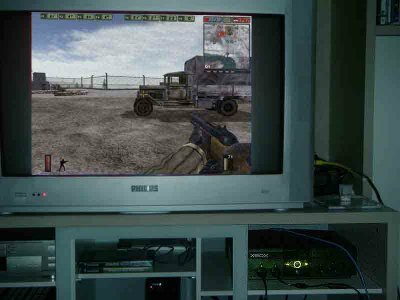 1-2 player(s) may fight the bots with the newest KI although used in Battlefield - Modern Combat local. 14 stunning battlegrounds. 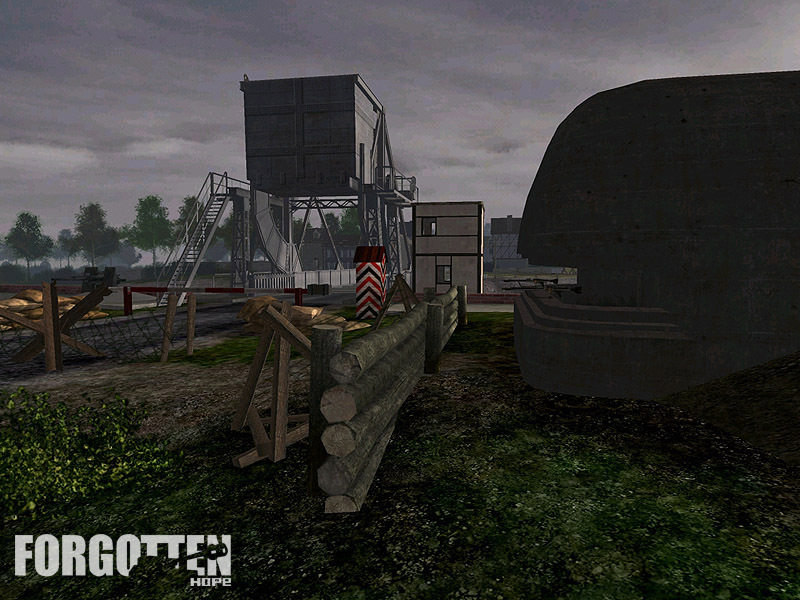 Play 12 of the well known Battlefields like Zielona Gora and 2 unrevealed brand new battles. 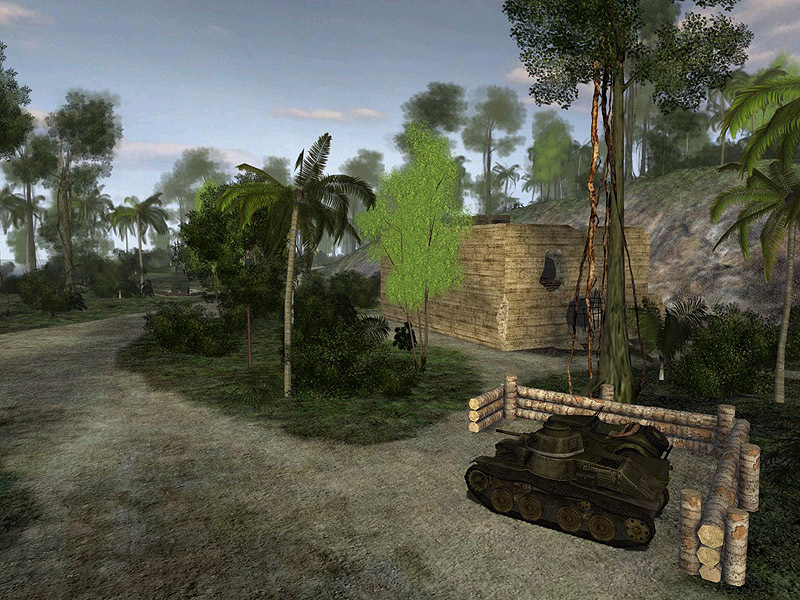 Revolutionary gameplay for the console with more than 120 historically accurate vehicles and stationary weapons and 50 weapons for unprecedented and unlimited tactical maneuvers. 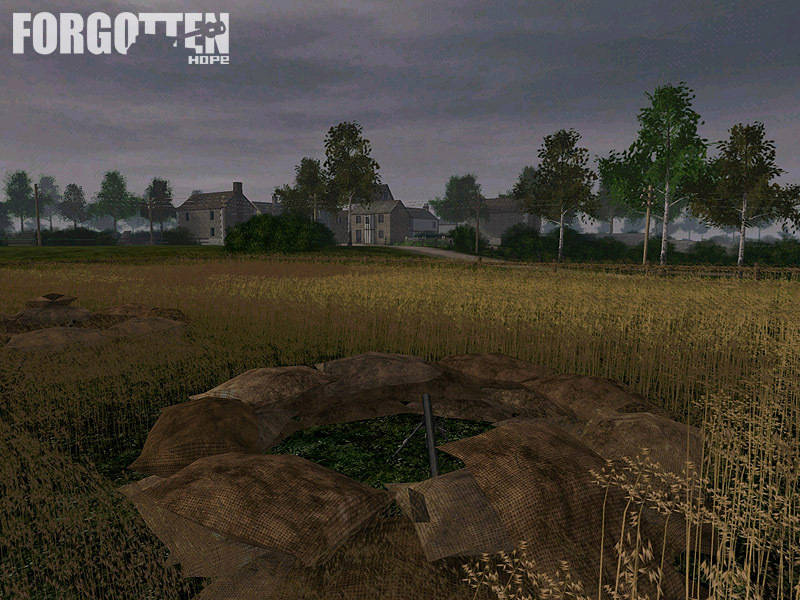 As you can see on the photo Forgotten Hope is already available as a beta version on the console. 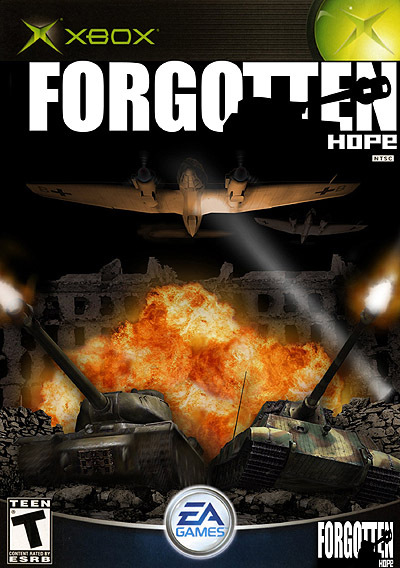 As progress is going good Forgotten Hope will be available for the XBOX in the United States in June 2005 at the price of 59.95 $ only. 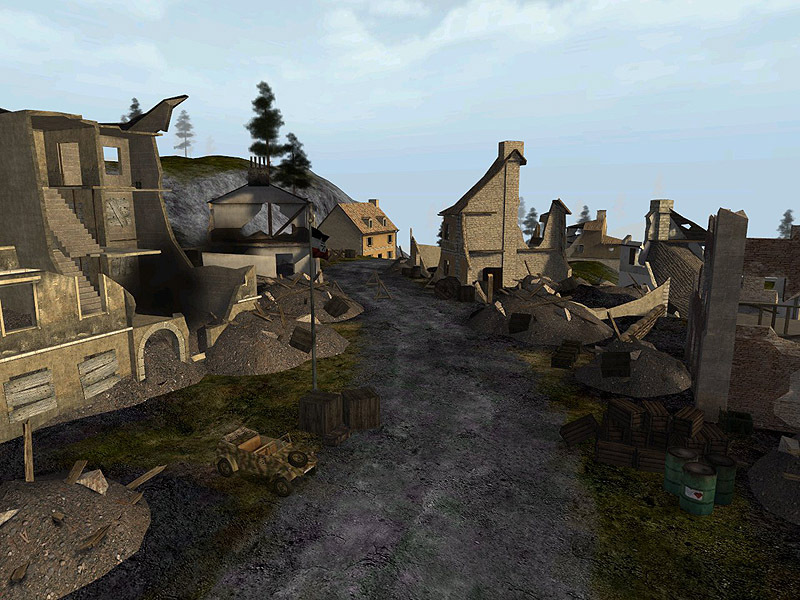 The release for Europe is scheduled for August 2005. As soon as the US version is on market Europeans will be able to preorder the US-Version at TS-Rent.de . First the bad news: ArminAce was contracted by EA and has left the Forgotten Hope Dev Team to continue his work under their command. 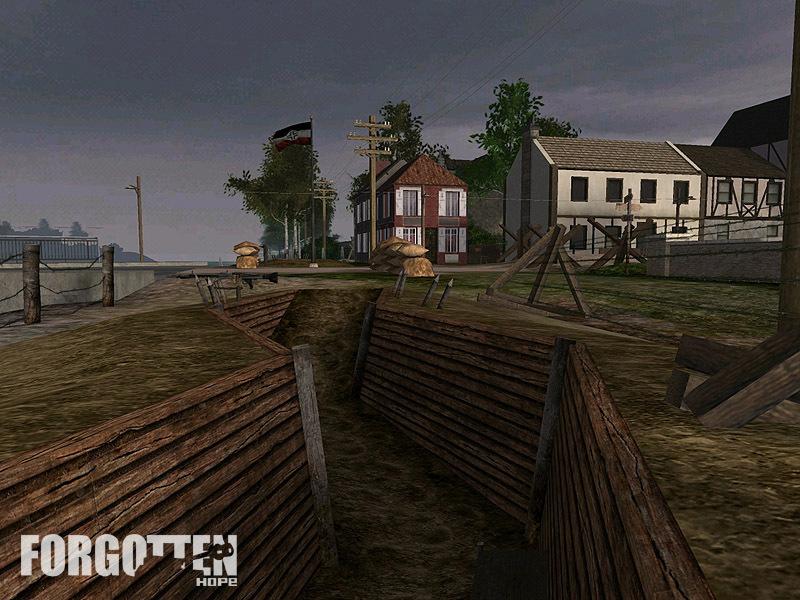 Now the good news: As Electronic aThe development of Forgotten Hope will at least continue until version 0.7 for Battlefield 1942. 4. All comments delivered via the hotline may be used and published. That's all for today folks. 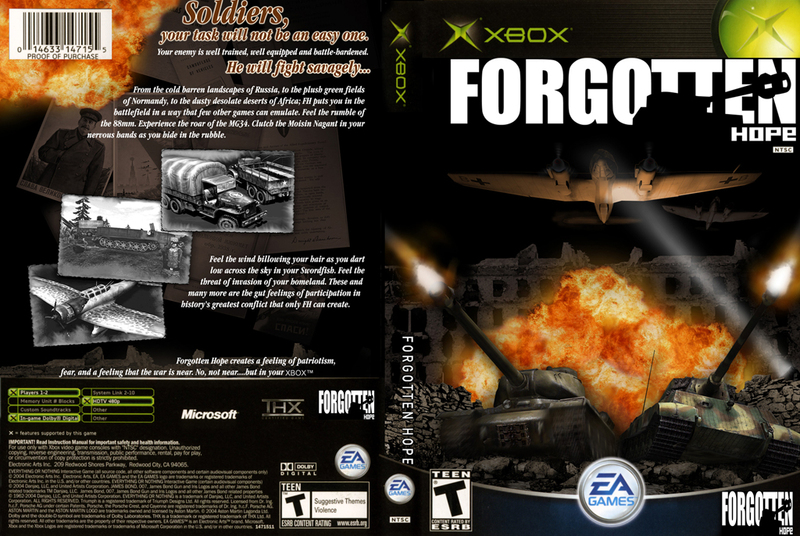 The Forgotten Hope Developer Team is looking forward to the upcoming release on the XBOX although we lost an encouraged and motivated leader, although his latest actions were betrayal actually. Anyway - money serves as comfort always and as we still are able to develop Forgotten Hope for the PC out of danger to get in front of court we will be able to cope with the loss. Major Hartmann did not follow ArminAce. We are still trying to get him back into Forgotten Hope but as we have to admit chances are poor at the moment. With this unexpected news (even for almost all Devs) there will much room for discussion. We really hope to see you on our public forums to gather your opinion about this newsupdate.